Doing It This Way Didn’t Work! Do you think you might as well just put your house on the market and see what happens? I understand. Improving your home for selling will take you time and energy and maybe some money. And I get it that those things are in short supply. I absolutely get it. I understand why you might be hesitant. Let me tell you a story about a couple (I worked with) who decided to ‘just see what happens’ and it soooooo backfired. A lovely young family I worked with a couple of years ago had their very desirable (so they thought) new-build home on the market for 5 WHOLE months with absolutely no offers. They told me they were pretty desperate to move because of a distressing family health situation. Their house wasn’t anywhere near selling (4 viewers & no offers over 5 mths) and this was giving them endless worry and sleepless nights. My heart really went out to them. The husband was a top builder by trade and he’d built this home using only the very best quality materials. It was very well finished. Beautiful fixtures and fittings, solid wood staircases and flooring, kitchens and bathrooms. A stunning family home. They had intended raising their family here, in their ‘forever home’ as they explained. But all that sadly changed and they just HAD to sell by a certain date. When they put it up for sale they thought it would get snapped up…but it just sat there. And so did they. Wondering why. And that important date loomed closer. WHAT HAPPENED WHEN I MET THEM? When I saw the house, I IMMEDIATELY knew why no-one was interested. Although it was totally immaculate, clean and tidy, it lacked a heart. It felt vacant and sad. It felt so cold and unwelcoming that I actually thought that they must have moved out already. 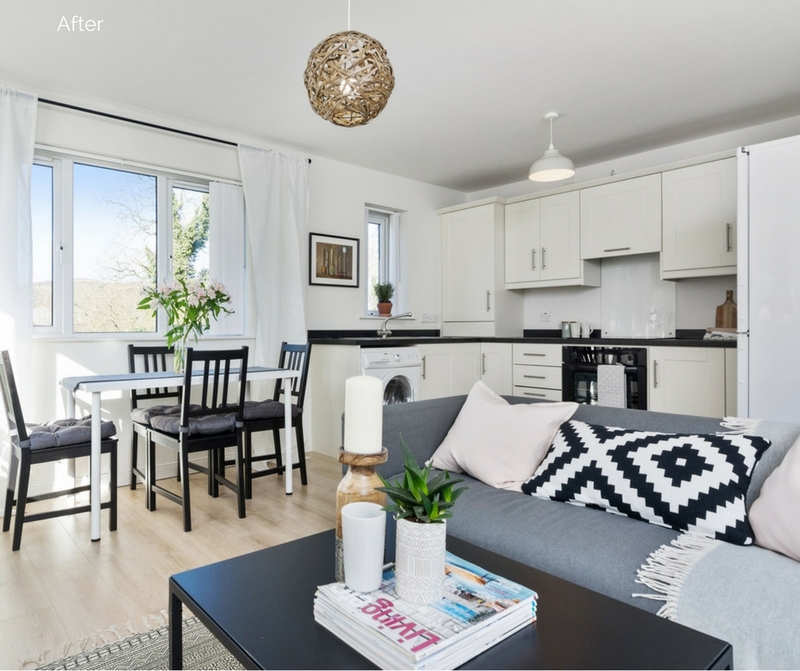 Certainly, the previous marketing photos gave that impression…like no-one lived there. And if I was getting that bad an impression, so were ALL the potential buyers. Can you see how buyers generally are swayed by what they see? AND FEEL. They took it off the market while they staged it following my advice blueprint. And, to let you in on a secret, no DIY, painting or repairing was needed. 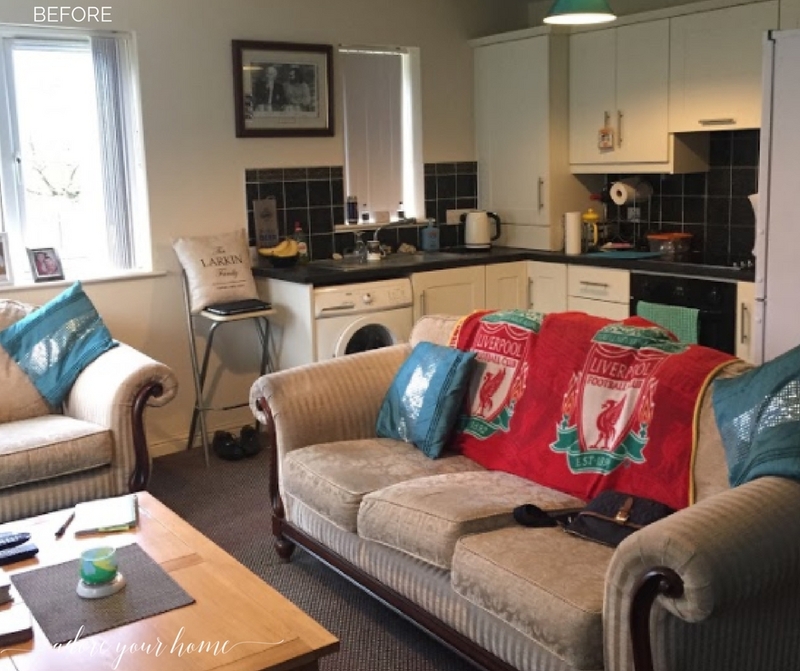 All the improvements were in furniture rearranging, room layout, colour schemes and some lovely accessories (all of which went with them when they eventually moved, to style their next home). They took a few weeks to follow my instructions step-by-step and I was on-hand to help when they got stuck. Those changes added the warmth and welcome and heart that was missing. I always try to use what people already have, if possible, so the spend was minimal coming in below £400. After I helped them massively improve its appearance so it would attract the right buyers, the VERY FIRST VIEWER OFFERED THE ASKING PRICE ON DAY 1 of being back on the market. This meant they could now move to where they needed by the date they desperately needed to be there. And that is not an unusual result. Here’s the thing: their first plan of ‘just put it up for sale and see’ failed. I gave them a list of simple doable changes to make and they did them. 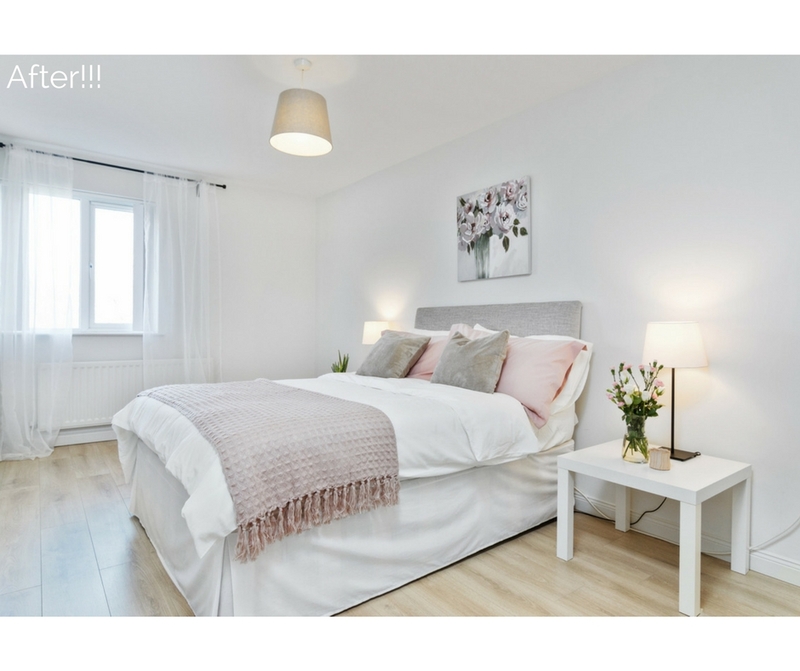 It’s called HOME STAGING and it’s a technique which I can share with you. So, let me ask you, what if you could get that sort of house selling result, without the faffing and stress of the first 5 months? What if you created a bidding war because people fall in love with your house? How ecstatic would you be when you’re “For Sale” sign says “SOLD”? I can show you everything you need to do to prep your home so viewers find it irresistible the moment they walk in the door. So, instead of waiting for silly offers to eventually (if at all) come in, you create a bidding war and it sells faster! Imagine being free of this house, with the extra cash, so you’re able to go and buy your future dream home! The sheer relief would be bliss! A decent sales price. In a shorter time. Even if you are already listed on the market or you are new to this whole selling process, it is never too late to prepare your home, properly, for sale. 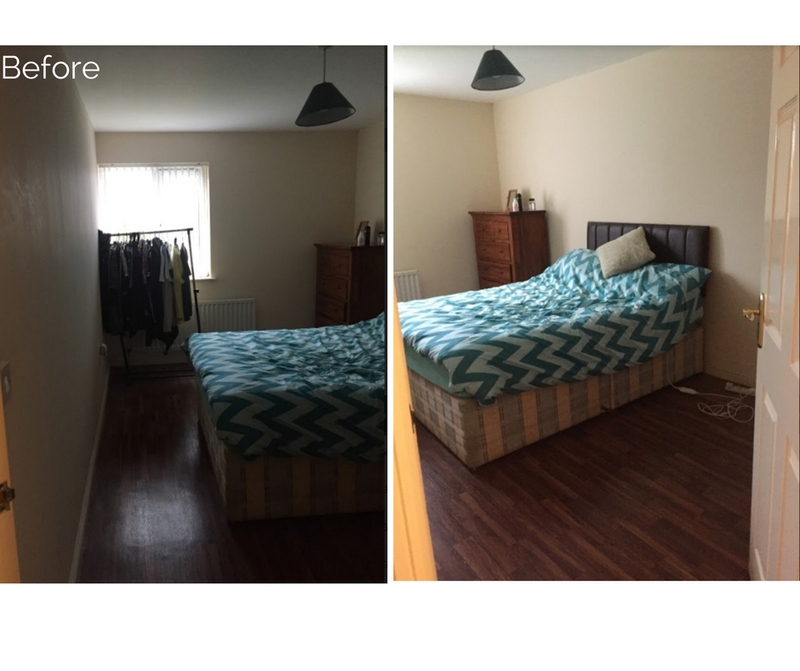 And check out this bedroom transformation too!! Same bed, I covered the headboard. 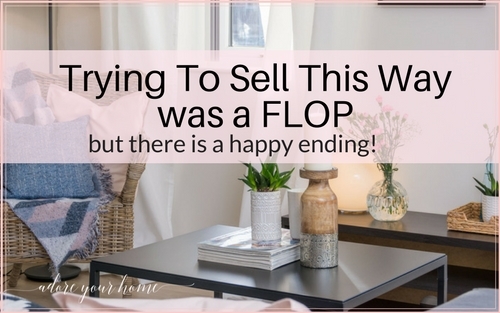 I believe that so many people don’t realise that they are leaving money on the table by not doing a little bit of prep before they invite the world to buy their house. Buyers are looking for value for money, so you need to outshine the other houses for sale. I can show you how to make your house more valuable and hopefully sell quicker and for a better price. Let’s just get your house sold so you are free to move on to that new life! Are you a little bit stuck with your uninspiring decor? Your gorgeous new room could be closer than you think with my favourite design tips! Let me help you find your style & show you the best way to plan a room. There’s a great section on colour & how to choose it with confidence, as well as advice for making rooms feel bigger. 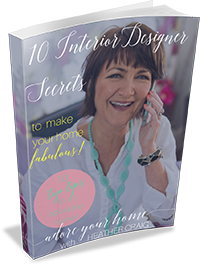 I share my clever TV disguises, how to select & use gorgeous fabric & show you amazing lighting ideas you will love… & more!